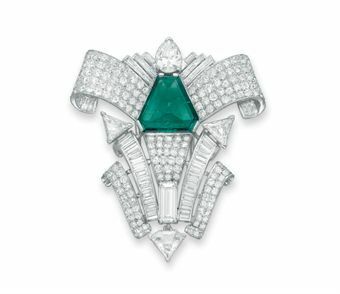 An emerald and diamond brooch, by David Webb. 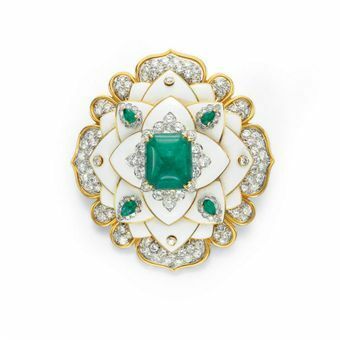 An emerald, diamond and enamel brooch, by David Webb. 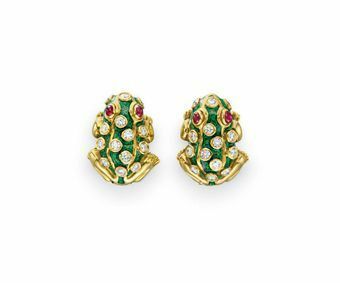 A pair of diamond, ruby and enamel frog ear clips, by David Webb. 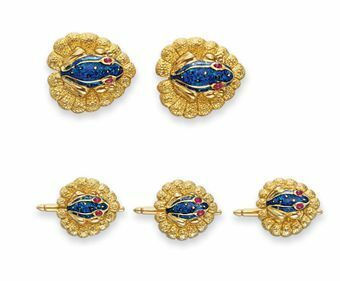 An enamel, ruby and gold frog dress-set, by David Webb. 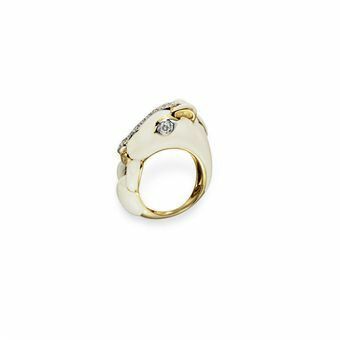 An enamel and diamond ring, by David Webb. 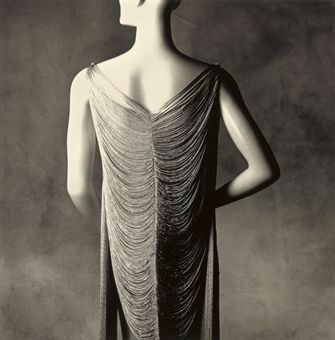 These Earrings jewelry and Brooch designs are fabulous.